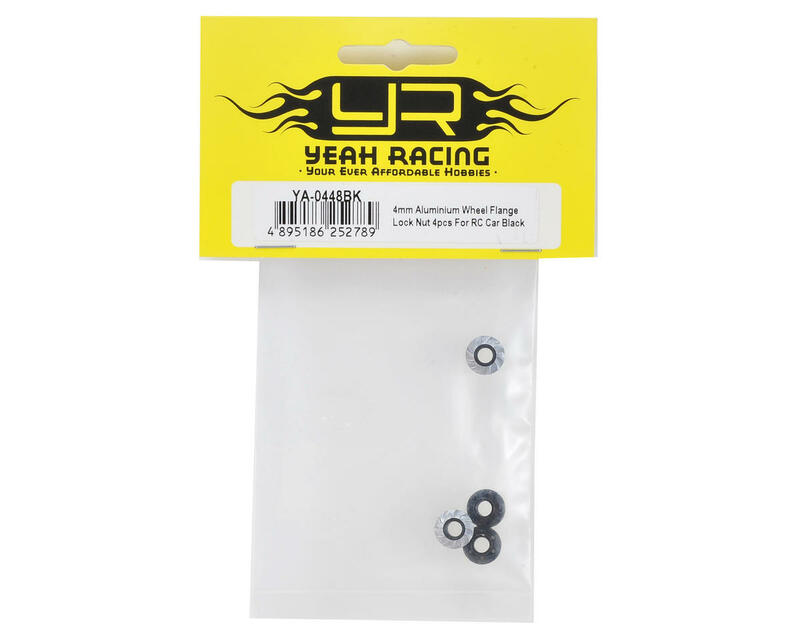 This is a pack of four Yeah Racing 4mm Aluminum Wheel Lock Nuts. These high precision and realistic wheel nuts are made from lightweight aluminum alloy material and then anodized with a stylish finish. 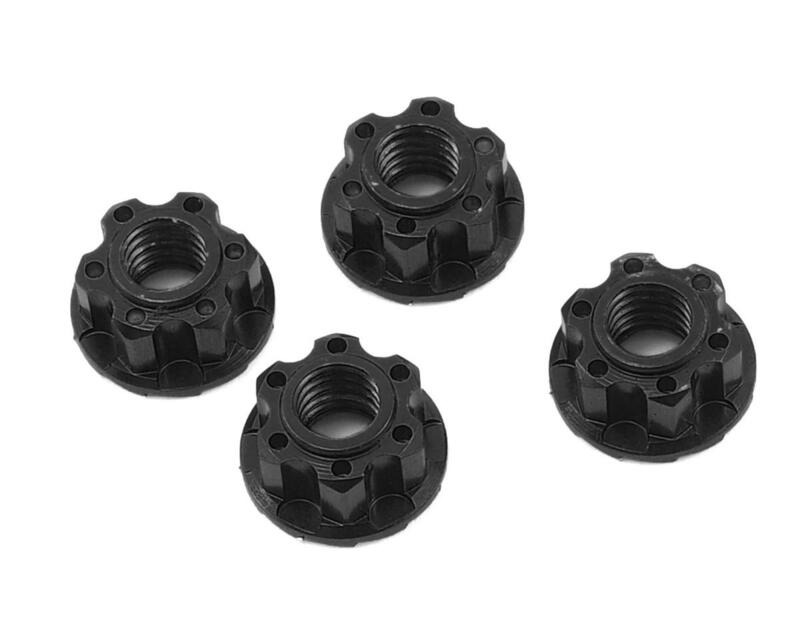 All nuts feature a flanged design with a knurled serration backing for maximum locking security.